Whereas Germany is having difficulty putting together a coalition government, Austria’s youthful Chancellor, the youngest head of government in the world, has been successful. Sebastian Kurz, 31, leads the Austrian People’s Party. His party is now in coalition with the “extreme right” Freedom Party, led by Heinz-Christian Strache. The latter party is often compared to the Nazis, whose leader, Adolf Hitler, was from Austria. This is an exaggeration, to say the least. Both leaders and their supporters, are concerned about the invasion of their country by Muslims and encroaching Islamization. They announced the formation of their government on Kahlenberg Mountain outside of Vienna, the same hill where Islamic Turks were defeated on 9-11 (& 12), 1683, ending the Muslim threat to western Europe. The new government joins Hungary, the Czech Republic, Poland and Slovakia in turning against the tide of immigrants welcomed by Germany’s Chancellor, Angela Merkel. Interestingly, all five of these countries were parts of the Austro-Hungarian Empire, which collapsed after World War One. One thing is certain – Austria has become the first western nation with a genuine conservative government. “The new coalition was agreed on Friday (15th December) by the conservative People’s Party (ÖVP) and the Freedom Party (FPÖ), pledging to stop illegal immigration, cut taxes and resist EU centralization. 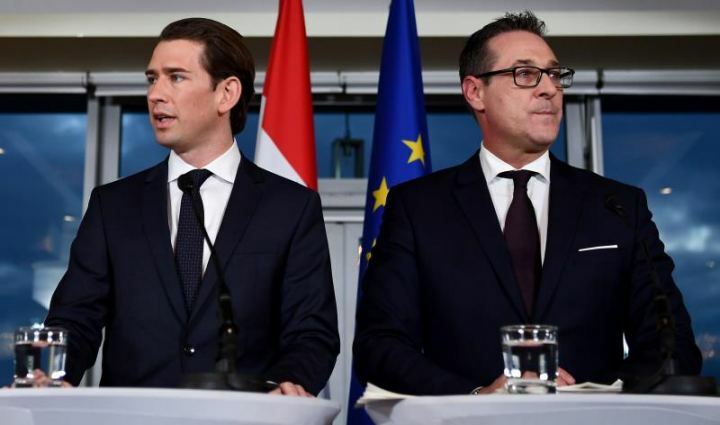 It will be led by Chancellor Sebastian Kurz, who took over the ÖVP in May and yanked it to the right, securing his party first place in October elections. At 31, Kurz will be the world’s youngest leader. At his side for the investiture by Austria’s (figurehead) president in the Hapsburg dynasty’s imperial palace in Vienna was FPÖ chief Heinz-Christian Strache, 48, now vice-chancellor, and FPÖ general secretary Herbert Kickl, the new interior minister. “Strache has said Islam “has no place in Europe” and last year called German Chancellor Angela Merkel “the most dangerous woman in Europe” for her open-door refugee policy. On Sunday, Strache trumpeted to his 750,000 followers on Facebook that the new government would slash social benefits for asylum-seekers. Empress Elizabeth of Austria, wife of Emperor Franz-Josef. Coincidentally, at the same time the Austrian government was agreeing a coalition, my wife and I were watching the “Sisi” trilogy on Turner Classic Movies. 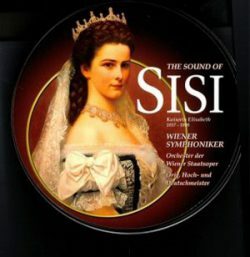 These three films, made over 50 years ago in Austria (with English sub-titles), portrayed the Austrian Empress Elizabeth, wife of the Emperor Franz Josef, who reigned from 1848-1916. Elizabeth came from Bavaria. She was sympathetic to the aspirations of Hungarian nationalists and was influential in the historic agreement that united Austria and Hungary in the Austro-Hungarian Empire (in 1867). Her life was rather tragic – her only son, the Crown Prince Rudolf, committed suicide and she herself was assassinated a few years later, while visiting Geneva. It was an interesting time in the Austro-Hungarian Empire. A great deal of liberalization took place under Franz Josef as Austrians tried to keep their multiethnic empire together. Often overlooked is the fact that this major empire gave a home to eleven different nationalities, all united under the Hapsburgs. Today, each ethnic group has its own sovereign state, each one weaker than the old empire. “The great Czech historian Frantisek Palacky once said that if the Hapsburg Empire had not existed, it would have been necessary to invent it” (The Emperors, by Gareth Russell, 2014, pages 40-41). The European Union is no replacement as it is German dominated. Some of the former Austrian nationalities are again marching together. Austria, Hungary, Poland, the Czech Republic and Slovakia are all opposed to further Muslim immigration, wanting to protect and preserve Catholic Europe. These five countries are set to form the Eastern leg of the biblically prophesied revived Roman Empire. Following the fall of the Roman Empire in the West in the fifth century, there have been a number of attempts to revive it – most recently, in 1922 Mussolini announced a revival of the Roman Empire; in 1957 European leaders signed the Treaty of Rome, forming what is now the European Union, another attempt at uniting Europe. Perhaps out of the rubble of the EU will come the final European Union, led by Germany. Every year, the British monarch speaks to the Commonwealth on Christmas Day. This is a tradition that began with her grandfather, King George V, in 1932. At the time Britain was a global superpower, ruling over a quarter of the world’s people. With the introduction of radio in the previous decade, the king could now address all his subjects around the world. In 1957 the annual radio broadcast began to be televised. By this time, the empire was fundamentally changing. Indeed, in 1957’s broadcast, the Queen welcomed Ghana and Malaysia into the Commonwealth, as both nations had become independent that year. The 52-nation Commonwealth continues to this day, with the Queen as its Head. For some years now, the queen’s message has embraced multiculturalism. The Commonwealth is multicultural in itself, composed of nations that have different religions and a great deal of ethnic diversity. This year, she took a different approach to her speech. Instead of emphasizing multiculturalism, she praised the citizens of London and Manchester who suffered terrorist attacks last year; and the heroism of Emergency Responders who helped save lives. Sadly, it is, of course, multiculturalism which has led directly to terrorism, not just in the United Kingdom but in other countries in Europe. The queen is a deeply religious woman, never more so than at Christmas. In her speech this year she talked of how Jesus Christ “suffered rejection, hardship and persecution.” Having experienced all three in recent years, I was encouraged by her words, which prompted a Bible Study from this angle. Queen Elizabeth is not the only Head of State who gives an annual Christmas speech. President Steinmeier of Germany addressed the German people on the same day. The German president, like the British monarch, is a figurehead, playing an important role in unifying the nation at a difficult time. The German president devoted his speech to reassuring the German people, who still do not have a government over three months after the election. This is the longest period in the Federal Republic’s history and, for some, brings back memories of the rather unstable Weimar Republic. Today’s German republic is more resilient and Germany should soon have a new coalition government, made up of two or more parties. The Pope also gave a Christmas speech. Whereas the British monarch and the German president were careful not to advocate more immigrants, the pope called upon nations to open their doors wider to receive more refugees. Ironically, on the same day, ISIS in Somalia called for the assassination of the pope and for attacks on more western cities, like Manchester and London. And so it goes on. The West has lost its way and does not know how to respond to radical Islam’s assault upon it. It won’t, until its religious roots are revived. Most people in the West still give lip-service to Christianity, but few think deeply about their traditional religions, both Catholic and Protestant. Acts 4:12 says of Jesus Christ: “Nor is there salvation in any other, for there is no other name under heaven given among men by which we must be saved.” Muslims deny Jesus Christ is the Son of God. Therefore, to equate Islam with Christianity, makes no sense and endangers Christians, who are ill-prepared for the assault that is taking place upon them today. The British monarch is the titular Head of the Anglican Community. The Pope is the Head of the Catholic Church. They need to wake up to what is happening and to see clearly the threat to traditional Christianity. The Pope, in his annual speech, focused on Jerusalem, calling for an independent Palestinian state, the “two state solution” that has been official policy of most countries in recent years. What the pope is calling for pits him (and the Church) against the US Administration, which is recognizing Jerusalem as the capital of Israel. REVISIONIST HISTORY – CHECK THE FACTS! 1) The new “History” channel series “Knightfall” depicts the Knights Templar around the year 1300. In the first episode of the series, the Catholic soldiers saved the Jews who were expelled from Paris by King Philip the Fair in 1306. According to the series, the Jews were saved by the Knights Templar. 2) The second season of “The Crown” (Netflix) implies that Prince Philip cheated on his wife in the 1950’s and early 60’s. There is no evidence for this. It may be true – it may not be true. But people watching the otherwise excellent series will no doubt believe everything they see. 3) “A United Kingdom” was an otherwise good movie, telling the story of Seretse Khama and his wife Ruth Williams. Sir Seretse led Botswana to independence in 1966. He met his wife while studying in London. They were a bi-racial couple in southern Africa, not very common in those days and forbidden in neighboring South Africa, the regional powerhouse. In 1947 the movie referred to the presidents of four neighboring countries, not one of which had a president at the time, as they were all a part of the British Commonwealth. 4) This is the worst one! ‘The Viceroy’s House” is a recent movie set in India at the time of independence and partition, in 1947. Everything in the movie was good until somebody opened a drawer and pulled out a two-year-old highly secretive British government paper advocating partition of the country into India and (Muslim) Pakistan. So what, you may ask? Well, this file changed history. Instead of Earl Mountbatten being responsible for partition, the file “revealed” it was war-time leader Winston Churchill. As the anti-colonial Guardian reviewer put it – it was the equivalent of somebody in Germany opening a drawer and finding that the Holocaust was first proposed, not by Hitler, but by Mussolini. Why can’t the entertainment industry ever get it right? As far more people will watch the movie than read any book on the subject, Churchill will now be blamed for one of the greatest disasters of the twentieth century. One very good series we’ve seen was on the National Geographic Channel. It was a biography of Albert Einstein. One of the most brilliant minds in history, he was absolutely hopeless at personal relationships. 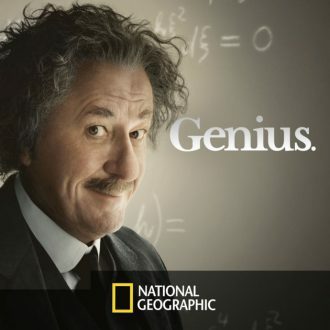 The two greatest scientists of all time were Sir Isaac Newton and Albert Einstein. Many people today see science and religion as opposites — these men did not. They both believed in God. Be sure to share that fact with others.